Arrangement fees – A fee charged by a mortgage lender or broker to arrange a loan. These usually apply to loans where a special interest rate applies. Additional enquiries – These are questions raised by the buyer’s solicitor/conveyancer, often relating to matters shown on a survey or relating to the title on your property. APR (annual percentage rate) – This is the total cost of a loan, including all costs, interest charges and arrangement fees. This is then shown as a percentage rate. Assignment – This is to transfer the ownership of an insurance policy or a lease. Auction – The sale of a property to the highest bidder with a legally binding contract on the drop of a hammer. Building Survey – There are varying types of survey that can be carried out on a property that you are to purchase, normally conducted by a chartered surveyor. Basic variable rate – This is the standard rate of interest that is charged by a mortgage lender which may be increased or decreased periodically by the lender depending on prevailing economic conditions. Bridging Loan – This is a temporary loan providing financial cover which will allow a buyer to complete on the purchase of a new property before selling their previous property. Buy to let mortgage – This is a type of mortgage specifically designed for investors buying property with the intention of letting it out, usually as an investment. Buildings & Contents insurance – Insurance to cover damage to or loss of your home and it’s contents in the event of a fire for example. Cash Back – An incentive given by some mortgage lenders when a sum is paid to the purchaser upon completion of the mortgage. Capped Mortgage – A mortgage where there is an upper limit on the interest rate but with no lower limit. This rate will vary in accordance with the lender’s interest rate charges. Chain – When selling a property, the situation often occurs when a buyer is reliant on completion of their home in order to complete the purchase of a new property. CML – The Council of Mortgage Lenders who devised the Mortgage Code to ensure lenders treat customers fairly. Completion – The point at which all transactions concerning the property sale are conducted and legal transfer of ownership passes to the buyer. Invariably, this is also the day of moving. Conditions of Sale – These details determine the right and duties of the buyer and seller. These could be imposed by the law society or specifically devised by your solicitors. Contents Insurance – Insurance that provides cover for the loss or damage to possessions inside a property. Contract – An agreement which is legally binding between the seller of a property and a buyer. This binds both parties to complete the transaction at any agreed time. Contract Race – When two parties have made an offer on the same property two contracts can (although not commonly) be distributed. The vendor will sell to whoever exchanges contracts first – i.e. it is a race. Conveyancer – A qualified individual such as a solicitor or a licensed conveyancer who will deal with all the legal aspects of buying or selling a property. Conveyancing – This is the traditional term used for the legal work involved in the sale and purchase of a property in England. Covenants – Some properties have rules and regulations that govern what can and can’t be done and would be lodged with the title deeds or lease. Deeds - Legal title documents that prove ownership of a property. Often these deeds will be held by the mortgage lender if a mortgage is lodged against the property. Deposit – On exchange of contracts a sum of money is paid by the buyer to the solicitors which is usually between 5% and 10% of the overall property value. Detached – A term used to describe a property that stands alone and is separated from all other properties. Development – Either a newly built residence or a refurbished and modernised older property. Dilapidations – Any damage or disrepair to a property. Disbursements – These are fees that are paid by the buyer’s solicitor on the buyer’s behalf such as land registry, stamp duty and search fees. Draft Contract – An unconfirmed and preliminary version of the contract. Early Redemption Charge – If a borrower terminates a mortgage in advance of the terms that have initially been agreed by the lender, an early redemption charge can be payable. This mainly occurs when a borrower has benefited from reduced payments or cash back in the initial period of a mortgage. Endowment Mortgage – A mortgage where the interest only is paid to the lender which often requires a separate insurance policy with the aim to pay off the mortgage at the end of the agreed term. Equity – The difference between the value of a property and the amount of mortgage that is owed or other charge against the property. Excess – An initial sum paid on an insurance claim by the policy holder. Exchange of Contracts – This is the point at which signed contracts are physically exchanged, legally committing the buyer to buy and the seller to sell a property at an agreed price. 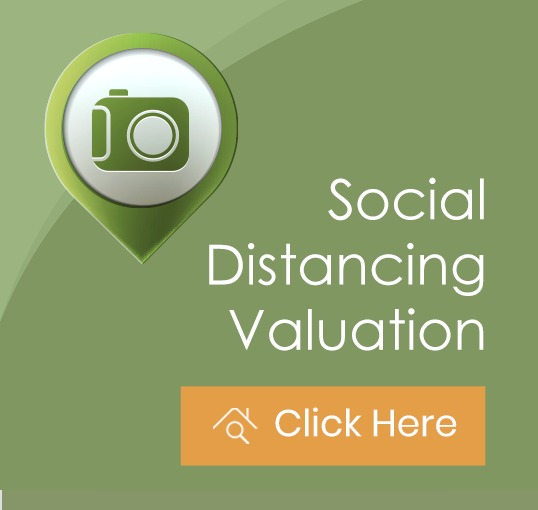 Failed valuation survey – Sometimes, following a survey, the valuation report may indicate that the property is not worth the sum that is sought. At this point, the mortgage lender may turn down an application by the purchaser. Fixed Rate Mortgage – An interest rate is set for a brief period of time on a mortgage with a fixed rate. Fixtures and fittings – Items that are included in the purchase of a property but do not form part of the structure. Flexible Mortgage – A mortgage where the lender will permit increased or decreased payments during a specified term. Freehold – The description of ownership for a property meaning that it belongs to the owner without limitation of time. Flying Freehold – Where part of a freehold property is over (or under) another freehold property. Gazumping – This term is often misunderstood. This only occurs when a seller accepts a higher offer from a third party on a property that exceeds the initial asking price. This can only occur when a sale has been agreed prior to legal exchange of contracts. Gazundering – This is when a buyer decides to make the seller a lower offer just before contracts are due to be exchanged. Ground Rent – An annual charge that is made by the freeholder to the lease holder payable every year. Guarantor – A third party who undertakes to ensure mortgage payments are maintained, who will also promise to pay the borrowers debt if the borrower defaults. Homebuyer’s survey and valuation report – A survey which is not a detailed as a structural survey but still carried out by a chartered surveyor who details their findings in report format. This will include both the condition of the property and it’s valuation. Interest charges – The charges that are made on a loan by a bank or building society which are calculated as a percentage of the amount that has been borrowed/outstanding. Interest only mortgage – This is a mortgage where the monthly payments to the lender purely cover interest only. A savings plan is often set up by a borrower which is designed to pay the amount of the loan at the end of the mortgage term subject to the savings plan performance (see endowment mortgage). If you choose an interest only mortgage, you are responsible for ensuring that you have sufficient funds available to repay your mortgage at the end of the agreed term. Inventory – A descriptive list of condition and furnishings and contents of any given property normally associated with lettings. Land Registry fee – Payment to the Land Registry to register legal ownership of a property. Leasehold – Denotes the ownership of a property by way of it’s tenure with a given timescale for that ownership. This can be a varying term but commonly 99 years, 125 years or 999 years. Legal fees – The amount of money that needs to be paid to a conveyancer for their fees which will often include a breakdown of all other fees they will have incurred on your behalf. Listed building – A building which is considered to be of special architectural or historic interest which cannot be altered or demolished without the consent of the local government. Loan to Value (LTV) – The amount of mortgage expressed as a percentage of the property’s total value. Local Authority Search – Enquiries raised by the buyer’s conveyancer to the local authority regarding any outstanding enforcement or future development issues within the immediate area surrounding that property. i.e. road alteration scheme, proposed new development. Maintenance Charge – The costs that are incurred by a freeholder for repairing and maintaining internal and external communal parts of a building which is passed to the leaseholder. Maisonette – a property that is arranged over more than one floor, but forming part of a shared property. Mortgage – The sum of money which is advanced by a lender that is secured against a property. Mortgage deed – The legal document relating to the mortgage lender’s interest in the property and containing all terms and conditions of the mortgage. Mortgage Rate – This is the rate of interest paid to the mortgage lender dependent upon what mortgage option has been chosen. Negative equity – Occurring when the value of a property falls below the outstanding mortgage. NHBC Certificate - (National House Building Council Certificate). This is a type of building guarantee available on some newly built properties designed to cover defects within a specified time after the building is completed. Typically this can be for 10 years. Offer – An amount that a buyer offers to pay for a property. Offer of a Loan – The formal document approving a mortgage that a buyer has requested which details all terms and conditions that will apply. Ombudsman – An independent professional body that investigates complaints on behalf of customers against insurance companies, estate agents and solicitors for example. Open Market Valuation – The price that a property will achieve on the open market. Penalties – The costs that can be incurred if a borrower repays all or part of a mortgage prior to the end of an agreed period or switches between lenders. Pied à terre – A property kept for temporary, secondary or occasional occupation. Peppercorn Ground Rent – A very nominal periodic rent usually paid per annum. Preliminary enquiries – Initial enquiries raised about a property that is being sold by the conveyancer which the seller must answer before exchange of contracts. Purchaser – Anyone who is buying a property. Probate – The disposal of a property by an executor of a will following the death of the owner. Redemption – Occurs when a mortgage is fully repaid. Re-mortgage – The re-financing of a property either by switching lenders, or by taking out a second mortgage to draw on the equity that may have been gained by the rise in capital value of the property. Repayment Mortgage – Monthly payments which can cover both interest and capital so that the amount that is outstanding will gradually decrease until the mortgage is fully repaid at the end of an agreed term. Repossession – This occurs when the mortgage lender takes possession of the property due to the non-payment of the agreed mortgage. Retention – This is where a mortgage lender retains part of a loan until repairs or specified works to the property have been satisfactorily competed. Search – This is a request or enquiry relating to information about a property that is held by the local authority or a land registry department. Semi-Detached – A property which is joined to one other house. Sole Agent – This is a single estate agent entrusted with the sale of a property usually for an agreed term. Solicitor – A legal expert who handles all documentations of a sale or purchase of a property. Stamp Duty – A tax paid by the buyer for a property commensurate with the purchase price. The rates of duty paid ranges from 1% to 7% of the purchase price depending upon the total value of the property bought. Some areas may be exempt from this charge depending on local conditions. Structural Survey (See “Building Survey). Studio Flat – A property that consists of one main room or open plan living area which incorporates both sleeping and cooking facilities generally with a separate bathroom or shower room. Subject to Contract – The term used to confirm that a transaction is not legally binding. Surveyor – A professionally qualified expert who carries out any instructed survey. Tenancy in Common – The form of ownership by two or more parties where if one should die, their share of the property forms part of the estate and does not automatically pass to the other party. Tenure – The conditions on which a property is held (i.e. freehold or leasehold). Terraced House – A property which forms part of a row of adjoining houses. Title Deeds – The documents showing any legal ownership of the said property. Transfer Deeds – A legal document that transfers the ownership of a property from the seller to the buyer. Under Offer – The status of a property that is for sale when the seller has accepted an offer from a proposed purchaser but no exchange of contract has yet taken place. Vendor – The legal name for a person who is selling a property. Valuation – A basic survey for a property to estimate its value normally for mortgage purposes. Mortgage lenders will insist on this as a minimum requirement before agreeing to lend against a property. Will – A legal document specifying what happens to your assets in the event of your death. Yield – The income from a property calculated as a percentage of its overall value. If you have any other questions about the home moving process please contact your local branch where someone will be happy to help.